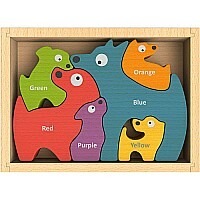 Get the whole family together for a tail-wagging good time with BeginAgain Dog Family Puzzle bilingual toy and game for toddlers! This educational toy for 2 year olds and up teaches colors and their names in English and Spanish, helps build motor skills and develops imagination. Your child will find endless ways to enjoy it, whether playing with individual dog-shaped puzzle pieces, using them as stencils for arts and crafts projects, building bilingual language skills, or fully completing the puzzle. 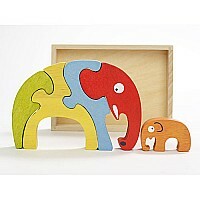 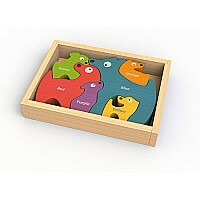 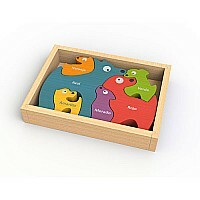 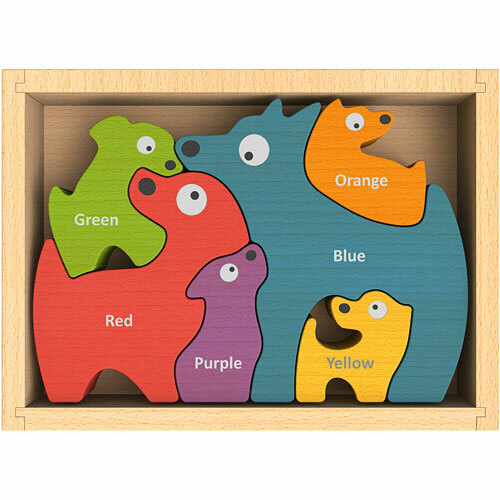 BeginAgain Dog Family Puzzle is a toy for toddlers and children, handcrafted from plantation-grown rubberwood, stained with child-safe, non-toxic dyes. By making children's games and puzzles out of plants, not plastic, we are creating a healthier planet with healthier kids. 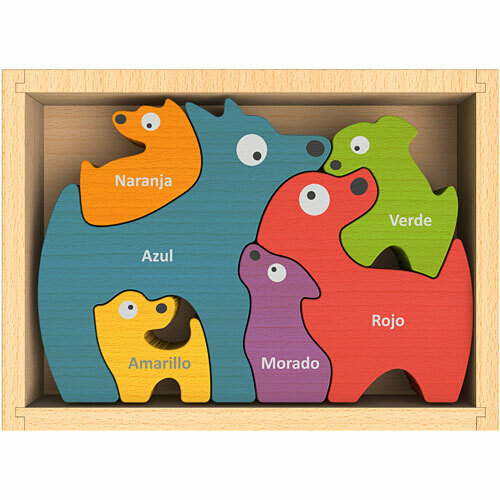 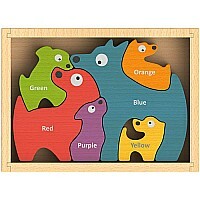 The Dog Family Puzzle for toddlers includes six dog-shaped bilingual puzzle pieces that fit in a 6.5" wide x 5" long tray for storage, travel, display and easy giftwrapping! Based in Fort Collins, Colorado, BeginAgain draws inspiration for our fantastic, wacky and educational toys, games and puzzles from our big and beautiful world! 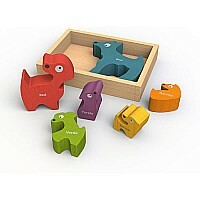 We design toys that satisfy all styles of children's playing, with no batteries required. Using sustainably harvested wood and sap from rubber trees and 100% recycled plastic packaging, BeginAgain works to benefit our kids and our environment. 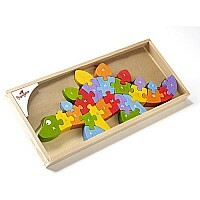 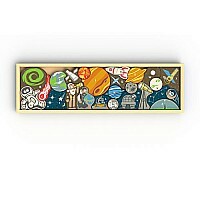 Measures approximately: 6.97 x 5.12 x 1.02 inches..